Let It Ride Poker is an exciting card game based on the original principles of poker. 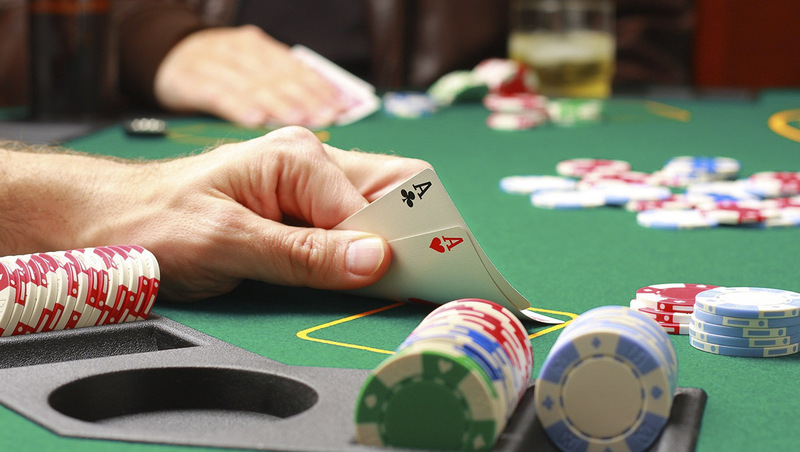 Unlike in the other variations, the players do not play against each other, or the dealer. Successful gambling depends on knowing which hands to pull and which ones to let it ride. Every player has a set of three circles, labeled 1, 2, and $. The players have to make three equal ante bets on the circles, and they are issued with a similar number of cards, face down. 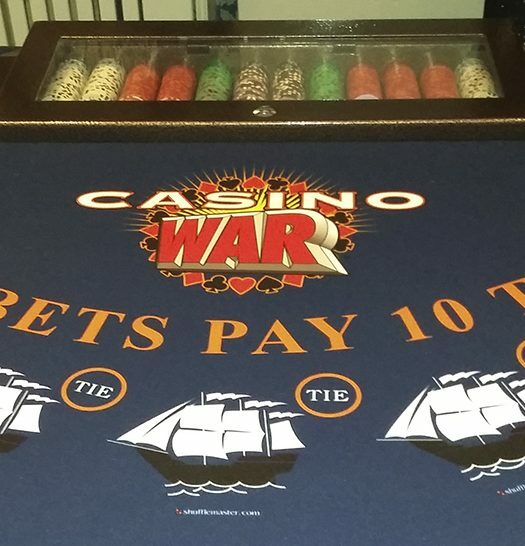 In many cases, the casino requires a minimum bet of $5, though it may vary depending on the establishment. Once everyone has been dealt with a hand, the dealer places two community cards face down to be shared by all players. In the first round of play, all players are allowed to look at their cards and make one of two decisions; to let it ride or pull. Pulling back your bet is done by scraping your cards, lightly on the table and your bet from one of the circle 1 is returned. When you choose to let it ride, you will place your cards below bet circle 1. The dealer will reveal the first community card once all players have made their decision. The first community card will be the fourth card for all the players in the second round of gambling. All the players will again choose whether to pull or let it ride before the second community card is revealed. This card delivers the 5-card hand, after which the winnings will be paid out according to the value of a hand, the remaining bet, and the pay table. The following is a simple strategy that you can use during the game. ● You have any of the winning hands among your three cards, (a straight flush, royal flush, three of a kind, or a pair of 10s or better). ● If you need one more card to make a straight flush and the lowest ranking is 5. ● You need one more card to make a straight flush, and one of your cards is a 10, for example, 6-8-10. ● You have two gaps that can be filled from any side to make a straight flush, for example, 6-8-10. ● You need one more card to make a straight flush or a flush. ● You have any of the winning hands mentioned below. ● You have four cards to an outside straight and a 10 or higher in the ranks. Royal flush: A royal flush consists of a 10-J-K-Q-A, all from the same suit. Straight flush: The player has 5 cards of the same suit, following each other in numerical order, for example, 3-4-5-6-7 of hearts. Four of a kind: Five cards with four of the same rank and a side card, for example, all of the four aces and an 8. Full house: A hand containing three cards of the same rank and two cards from a different but matching rank. For example, three 8s and two 10s from different suits. Flush: Five cards of the same suit, without following any sequence. Straight: A sequence of five cards from different suits. For example, a 3-4-5-6-7 from a mixture of diamonds, hearts, spades, and flowers. Three of a kind: When a player’s hand contains three cards of the same rank and two unrelated ones, for example, 8-8-8-6-7. 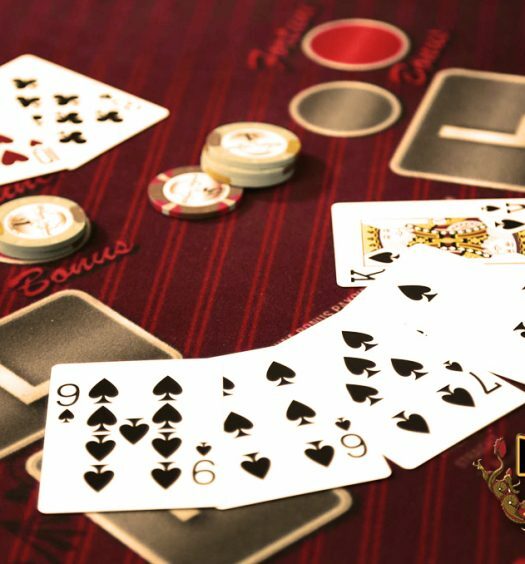 Two pairs: The player can win a game of Let It Ride Poker if they have two cards from a matching rank, another matching pair from a matching rank and a side card. Tens or better: Without the above combinations, the hand should contain at least a 10 or better to have any winning chance in the game. What is house edge on Let it Ride Poker? The house edge for Let it Ride Poker is 3.51% making it the half way in terms of casino game, house edge. Let it Ride Poker is similar to Three Card Poker edge however it has a more generous edge than the Three Card Poker Pair Plus side bet. How do you win Let it ride Poker? Two pairs:The player can win a game of Let It Ride Poker if they have two cards from a matching rank, another matching pair from a matching rank and a side card. What's a strategy can you use for Let it Ride Poker?